Embroidered Bird Cap is rated 4.4 out of 5 by 7. Rated 4 out of 5 by Dios71 from I would buy it again if it came in L-XL Flexfit I deliberated between this or the bird cap. Chose this as the embroidered arc'teryx logo looks cool. I got the dark grey one. Since getting this in july'13 i have been wearing it almost everyday. I like it so much that i brought it with me to Nepal in november'13. Its a simple cotton cap with flex fit. It only comes in ONE SIZE (fits all?). It looks good on my head though i'm always self-conscious of it being a wee bit shallow. the sides rest an inch above my ear. I usually get a L-XL hat. At the back of the hat the arcteryx name is embroidered on. After months of use it looks broken-in and worn like a pair of your favourite jeans. This will be with me for a long long time. Rated 2 out of 5 by RichF from One size fits all LARGE heads I wear a smaller hat size and this cap is TOO BIG. One to two sizes too big. Unless you have large (or at least medium) sized head, avoid this cap. Rated 5 out of 5 by ATM123 from Great Fitting and Good Looking Cap Great materials, nice fit, true to size and not too snug. Great looks in the black. Need more colour options though. Nice low profile cap, which is my preference, so it is better suited for a range hat as well as for a field cap. Rated 5 out of 5 by Jim1 from Fits well and is top quality. Due to fit and excellent quality of this cap I bought another cap in a different model. Same quality as the first as with all my other Arc'teryx clothing. Rated 5 out of 5 by Herbert from A classic! A classic! 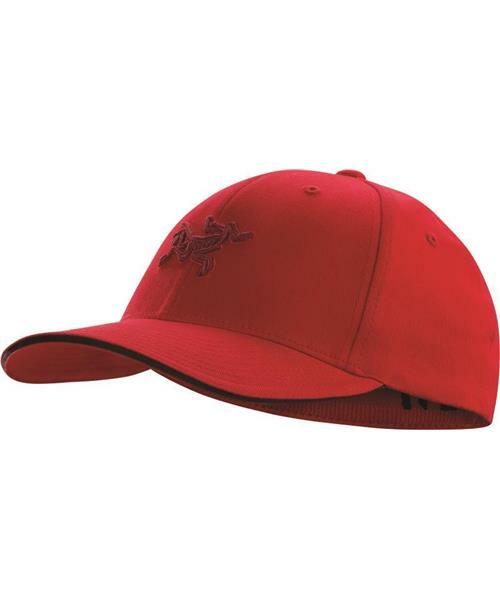 Any cap that is Flex-Fit is good, but if we add the Arc'teryx logo is a perfect cap. One accessory that all fans of the brand must have! Rated 5 out of 5 by Roger from Fit is good and a classic baseball type feel and look. Good fit and feel. The elastic band inside gives to support head size.